Offline cameras will not wake up - Got a Question - Alfred Center | get the most out of the best home security app! BOTH CAMERAS SAY THEY ARE OFFLINE AND WON’T RESET WHEN YOU TRY TO WAKE THEM UP. WHY DOESN’T THAT WORK? 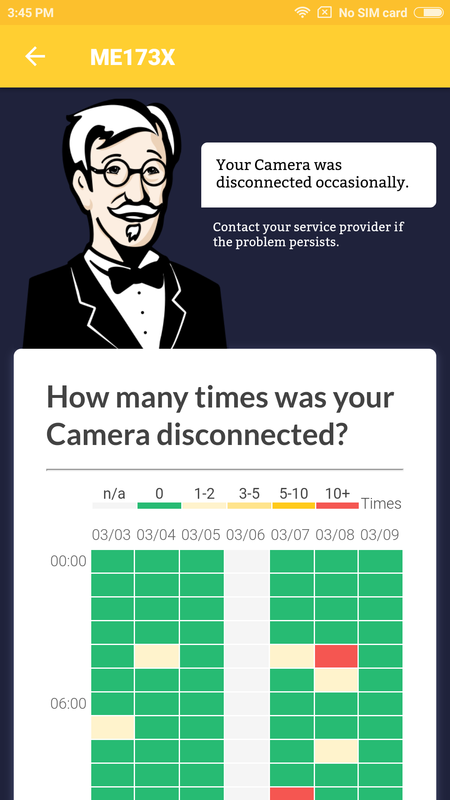 You see your Camera offline (7007) when your Camera has been powered down, disconnected, logged out, or simply crashed. If you see a yellow circle, please tap on it to see if the Camera can be woken up. If that fails, the only way to bring it back online is regaining physical access to the device. Me too. They don’t ever give a real solution to this problem. No advice like device settings etc. That would be really helpful. I don’t know what to do except switch to the other security camera app on Google play store. Please help! I have been having this issue for awhile now, and it’s getting to the point where I am now looking at an alternative app.